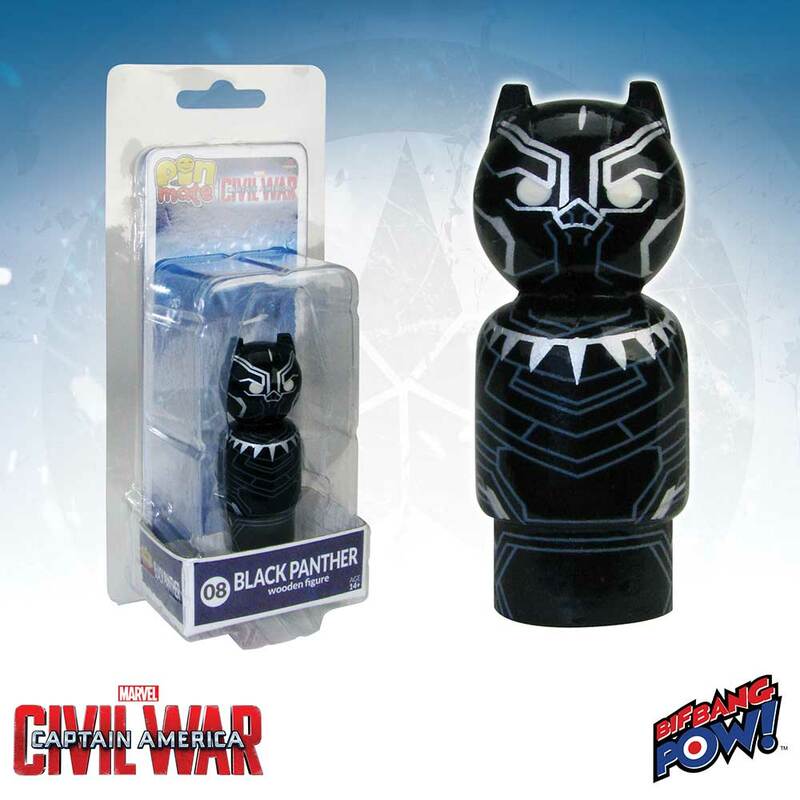 @BifBangPow: Winter Soldier and Black Panther Pin Mate Figures – Now in Stock! 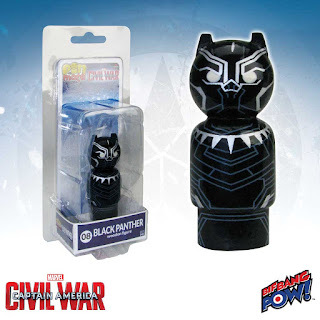 Winter Soldier and Black Panther Pin Mate Figures – Now in Stock! 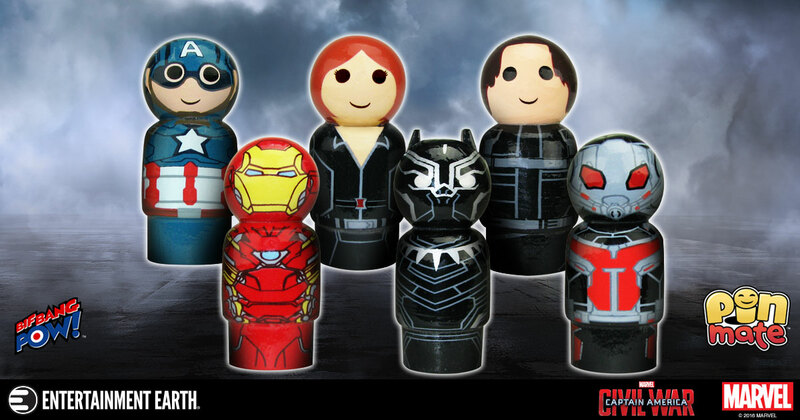 The sensational new line of Pin Mate™ miniature wooden figures from Bif Bang Pow! 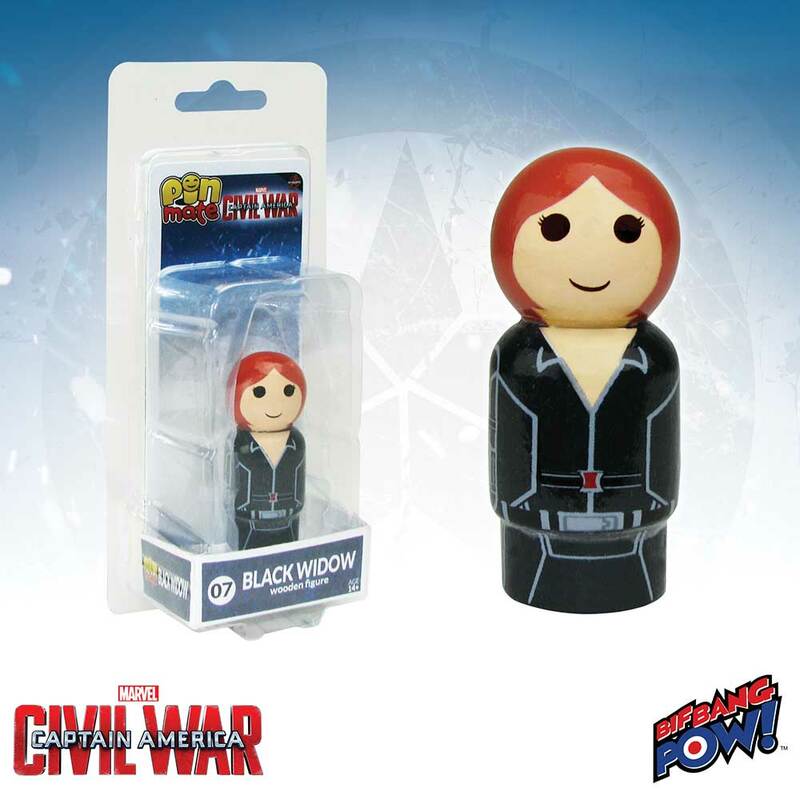 has Marvel fans going to war with Winter Soldier and Black Panther from Captain America: Civil War - now in stock along with Captain America, Black Widow, Iron Man and Ant Man at Entertainment Earth. Individually numbered within its series, every figure is numbered on the bottom as well as on the packaging - making these true collector must-haves. 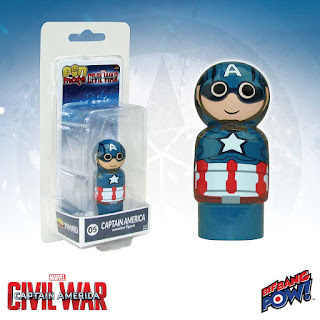 Captain America masked is number 5. 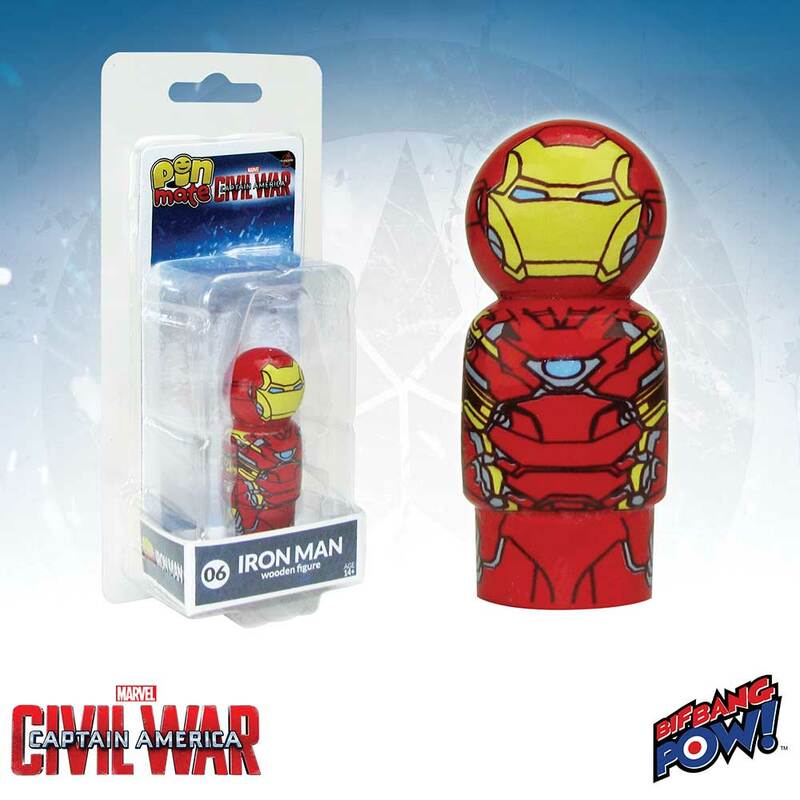 Iron Man masked is number 6. Black Widow is number 7. Black Panther is number 8. 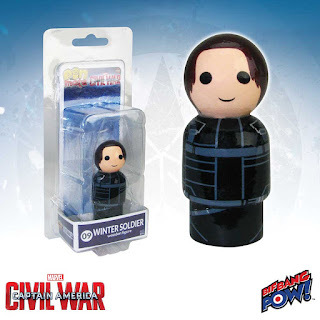 Winter Soldier is number 9. Ant Man is number 26. Measuring a mere 2-inches tall, each Pin Mate figure captures the character's unique movie appearance with 360-degree, hand-painted artwork that includes some decal elements. Collect them all today, and be among the first to recreate the memorable movie moments with these one-of-a-kind figures!